Last month, one fine Sunday morning, as I woke up, my grandfather handed me a parcel and asked me to open it up. As I opened it quickly, I saw The Mouse Charmers by Anuradha Goyal placed inside. I was quite surprised, and the bookworm in me was delighted to receive a book. But since there was no sender’s address on the parcel, the origin of the book remained a mystery to me. Nevertheless I started reading the book. As I read through the first few pages, I was quite overwhelmed with the huge amount of data, analytics and statistics presented in the book. So I took a pencil and started jotting down some foot and side notes, and by the time I completed reading the book, there was more notes than the original text. Nevertheless, let’s come to the text of the book. Anuradha Goyal, who has been running three successful blogs over a decade covering diversified areas like travel, innovation and book reviews, presents the story of India’s most successful digital entrepreneurs put together in a very systematic and semantic way. Digital business like Flipkart, MakeMyTrip, Zomato etc. has become so intertwined with our urban lives, that it has become a daily need for the Indians. I see Anuradha Goyal’s The Mouse Charmers as a origin story of the super-heroes of the Indian Internet. She has attempted to document the tales of a few first generation Indian companies who have been a part of this glorious growth story through their deep understanding of consumer behaviour and their novel tackling of the Indian psyche. She covers in her book the success stories of 12 digital entrepreneurs classifying them under 3 broad categories of Commerce, Content and Connectors, with 4 enterprises featuring in each. She has tried to keep the book free from business and technical jargons as far as possible, which helps us laymen understand the concepts better. The book deals with adoptive measures like Cash on Delivery (CoD) model of Flipkart and Big Basket, the freemium (Free + Premium) model of Shaadi and the Studio Network Application and Portal (SNAP) model of Games 2 Win. The book also at some places, deals with the offline activities of the digital entrepreneurs. Overall, Mouse Charmers presents an excellent overview of the digital landscape of India. I am sure budding entrepreneurs will be fuelled towards their dreams, reading this book. The scene is changing fast but business models are re-usable. 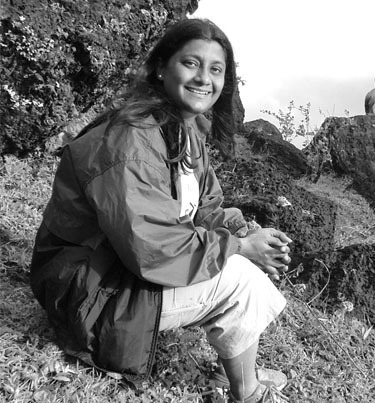 I admire Anu for wearing multiple hats at the same time – travel blogger, book reviewer, innovation consultant. With this book she adds another feather in her cap. P.S. While writing this review, I remembered that I was the one who signed up for a free copy of this book to be reviewed from Indiblogger, which I completely forgot. Thank you Indiblogger for sending me this book. Hope to have many more giveaways in the future. Published on December 12, 2014. Updated on December 12, 2014.